Because of our committment to sell these tickets, a few of the Blades memebers had the privilege of meeting Scott Gomez and having a photo taken with him. 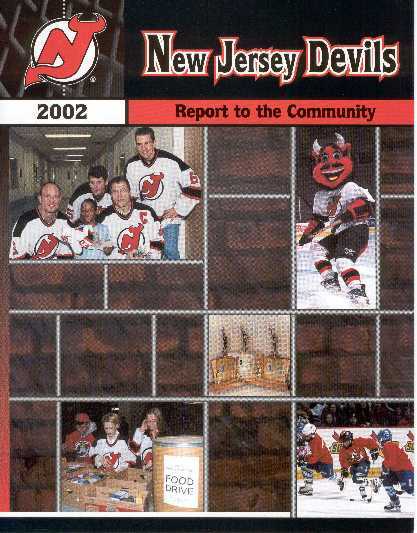 Scott is a star center for the NJ Devils, and 1999-2000 Calder Trophy Winner. Scott also autographed some sticks and pucks, which were given away as raffle prizes in the 2002 Blades' Annual Comedy Benefit. 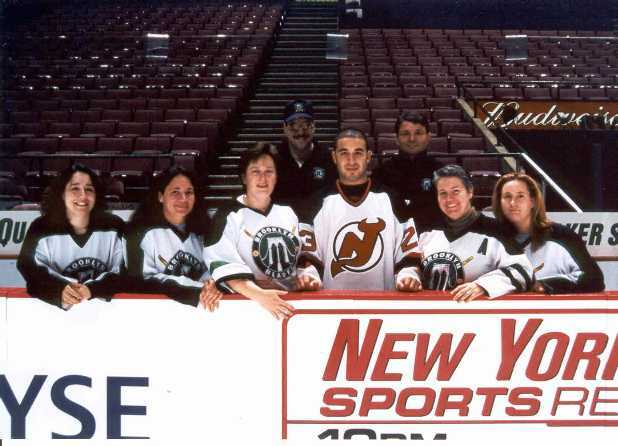 Front Row (l-r): Deb Glazer, Jeanne D'Onofrio, Jill Newman, Scott Gomez, Liss Platt, Rachel Mahoney. 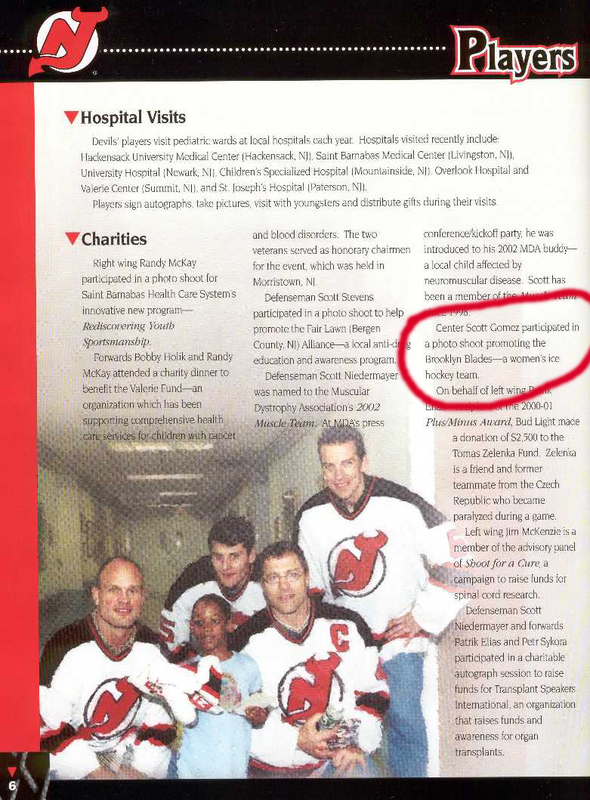 Back Row: Blades Team Trainer (and FDNY EMT!!) Brad Mann, A Team Coach Glen Jamieson.